Rebecca Guay is one of comics' most venerated fantasy illustratorsworking today. 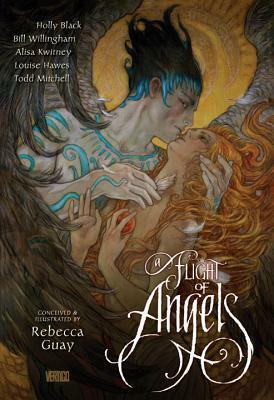 Best known for her work on the popular card game MAGIC: THE GATHERING, Rebecca has also seen extensive publishing in the fantasyand gaming industry with DUNGEONS AND DRAGONS and WORLD OF WARCRAFT.Most recently she teamed up with Eisner Award-winning and NEW YORK TIMESbestselling author Bill Willingham on Vertigo's original graphic novel AFLIGHT OF ANGELS. Rebecca resides in Massachusetts with her husband, artist Matthew Mitchell and daughter Vivian."